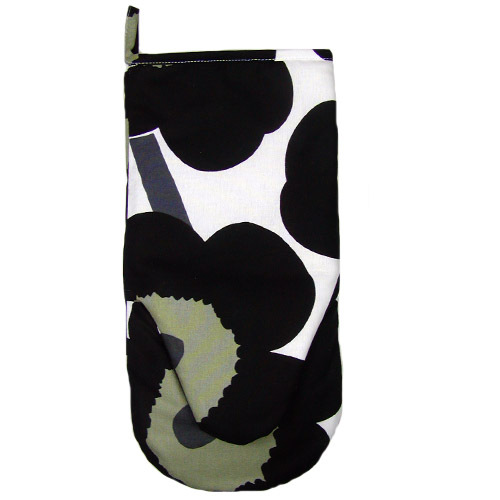 More about Marimekko Black Unikko Oven Mitt Add splashes of color to your kitchen with the Marimekko Unikko oven mitts created from the popular Marimekko poppy pattern of the 60s. Marimekko oven mitts fit snugly in your hand for reaching in the oven and pulling out your hot dishes. There is extra padding in between the thumb and hand for better protection. Please note: Each oven mitt is unique, as each is made directly from the fabric, which has a long repeat. Price is for one oven mitt. 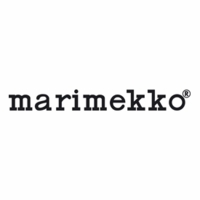 I am a Marimekko fan!!! This is a great addition to my 'collections' over the years! ProsNicely made and Marimekko design! Well made oven mitt. I like this Marimekko Black Unikko pattern a lot.